Dan records his hit Walkin Walkin. 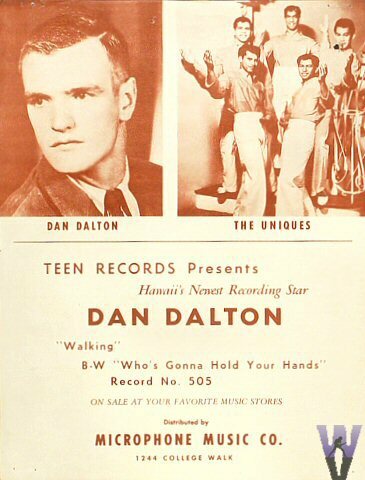 It is topping hit parade charts in Hawaii and the Daltons are hoping for the same success here in North America when it is released here shortly. The Dalton family is well known in Erieau, as Mr. Dalton was known for years as Detroit’s Irish Tenor. The whole family are very musical and have entertained there neighbours with playing, singing and dancing. Dan is currently in his final year of University in Hawaii.